You may think of rap, street music and gangs, but probably not humanity. Hip-hop's roots started in the 1970s with Kool Herc, who believed the music's beats and lyrics were supposed to set a tone of harmony as an alternative to gang and street life. As a part of Go Inspire Go's 50 heroes in 50 states initiative, I'd like for you to meet our fourth heroes, Chad Harper and Johwell Saint-Cilien. Their program, Kids Helping Kids (KHK): A Hip Hop Experience, is a collaboration of their passion projects, Hip Hop Saves Lives and Negus World. 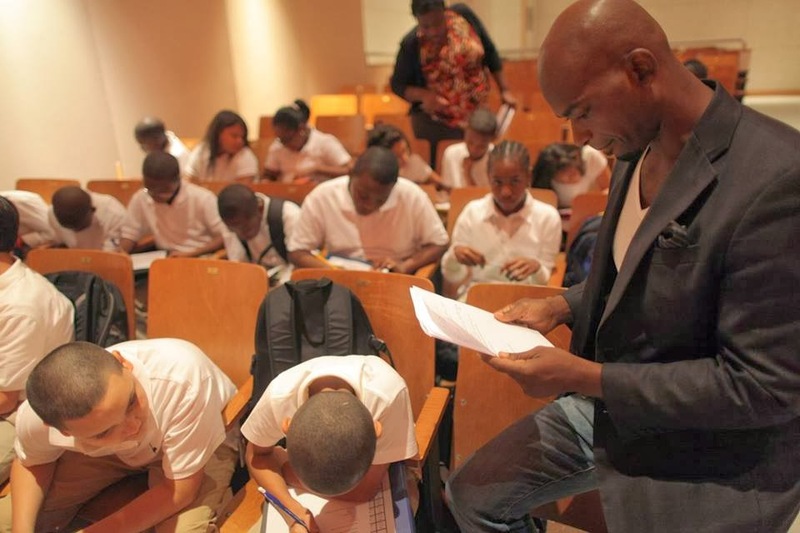 They reach out to hundreds of at-risk youth from New York City schools, incarcerated youth and homeless teen centers. The goal: teaching humanity through hip-hop and creating humanitarians. 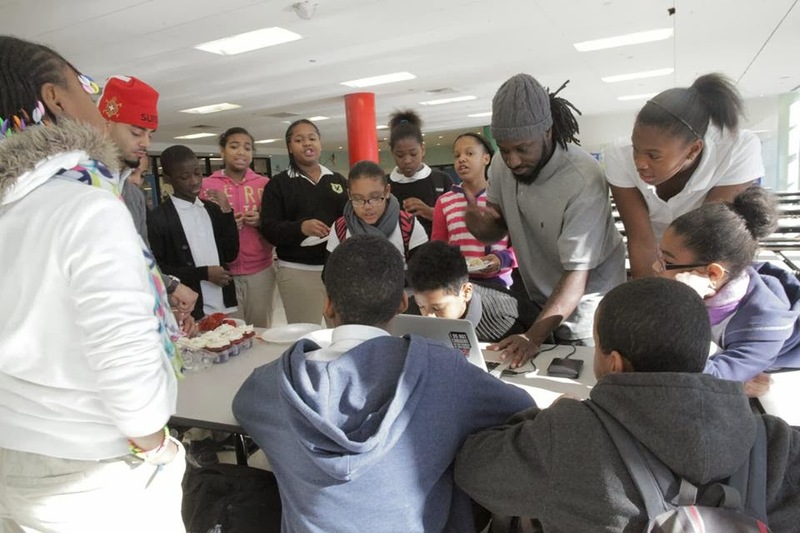 What: "We don't just teach humanity through Hip Hop, we create humanitarians." In 2006, Chad Harper felt like he was on top of the world. 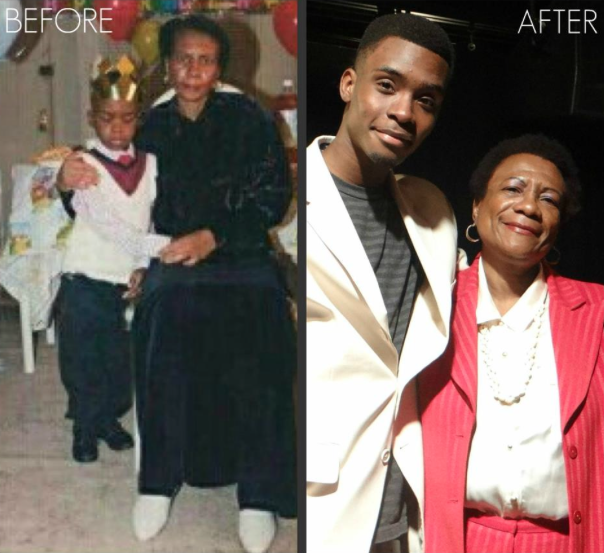 Making music, living in the Big Apple, pursuing what he thought was his dream: to become a hip-hop recording artist. He was headed in that direction until a record deal fell through. Saddened by his record deal situation, he turned to music, hoping to reach a higher note. Little did he know, this would change the trajectory of his personal, professional and spiritual trajectory and along the way, he would inspire, empower and change the lives of hundreds of kids on the streets near and far. Chad was bartending in New York when he heard about Charity Water, a nonprofit with a mission to bring clean drinking water to people in all corners of the world. He wrote "If Everybody Cared," a song about how together we can solve big world problems like hunger and poverty. "I would give print out the lyrics and give them to people who bought the CD," Harper said. "One lady started crying. I really felt that, wow, I am really affecting people." Chad realized, "Hip Hop Saves Lives" and could be a powerful instrument in orchestrating change in his community, especially with lowering crime and violence. He partnered with Johwell and the rest is history. 1. Every week, they meet at a school in Brooklyn, N.Y., to research and learn more about everyday heroes on the Internet. 2. They write and record hip-hop songs and choreograph dances celebrating the hero. 3. Johwell produces the music videos. 4. The result: An entertaining, inspiring and fun music video that is gifted to the hero. 5. Every semester, CDs are sold at a FUNdraising party. All of the profits go to schools in Haiti (and soon Africa) for education and clean drinking water. To date, their program "Kids Helping Kids: A Hip Hop Experience" has touched and changed more than 500 kids from New York, Haiti and Africa. They've raised more than $3,200 for education and school lunches in Port-Au-Prince and St.-Louis-du-Sud, Haiti. Attendance, grades and graduation rates have increased among KHK students. Performed at the United Nations on Oct 17, 2013, for the International Day for the Eradication of Poverty. Authors of "The 7 Habits of Highly Effective Teens" asked KHK to produce and write a song for their national curriculum titled, "The Leader in Me." But to feel the true impact of how this program changes and saves lives, you have to meet the kids and listen to their harrowing stories. Kids like Teriana Justin and Moise Morancy. Moise enrolled in the program at a critical point in his life. When I met Moise a few months ago, it was hard to believe that just one year ago, he was an angry, violent, out-of-control teen. "I always used to get into a lot of fights and I thought that was a normal thing," Moise said. Throwing fits, fists and chairs was commonplace in his everyday life. Things got so bad, he threatened to hurt his high school principal. That's when a teacher told Moise about Chad and Johwell, who became the mentors and father figures Moise never had. They saw through Moise's tough exterior and sensed something special. "You can see it (passion) in his eyes," Johwell said. "He came into the program already an Internet sensation." Moise’s most popular YouTube video had more than 12,000 views. Still, Chad challenged him to go back to the positive roots of hip-hop and inspired him to take a positive spin on his music -- to produce from the heart, not what he hears on the airwaves. "There is a lot of negative language in that song but I thought, I want to challenge (him) to do a true hip-hop song," Chad said. The result was "Mommas Secret,” a story Moise was once was afraid to share with his friends about his mom living with HIV. When I asked Chad and Johwell why this unique program of using hip-hop to produce humanitarians works, they said, "Youth, they have so much energy and they have so much power and our formula harnesses that and gives it a platform." No matter who we are -- isn't that what every human being wants in life? To be seen, heard and felt. What's next for KHK? They just launched the program in Africa in Liberia and Ghana. Their next fundraiser is on April 12, 2014, with the goal of raising $3,500 for clean water. 3. Collaborate artistically or use your talents to help Kids Helping Kids: A Hip Hop Experience. Hit share if you care, please share on Facebook, Twitter, Instagram or comment.